I just got this really cute toddler/baby toothbrush from Amazing 4 Use. It’s so cute, shaped like a banana. It has really soft silicon bristles which are great for babies soft gums. I have been using this with my little one and it is gentle enough for her gums and still gets them clean. She loves the design of it and it makes brushing a lot of fun. The little handles are nice too because she can grip it and learn that brushing motion. Really cute and useful toothbrush! 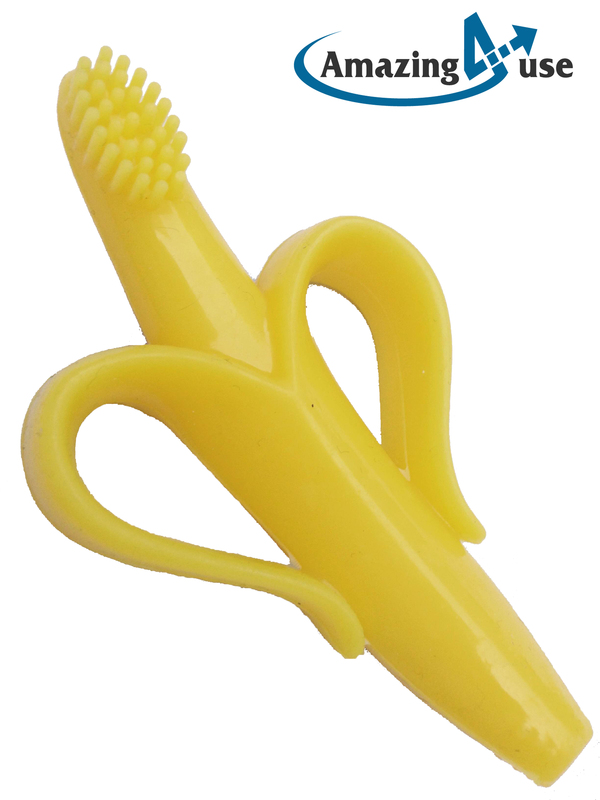 Banana bendable training Toothbrush for baby, infant, toddler or small petWish to train your child how to brush teeth? – Looking for an ideal teething material? -Wish to sooth your child by massaging the gums? – BANANA TOOTHBRUSH by Amazing 4 used to train your child. – FOOD GRADE SILICONE for babies, infants or toddler or small pets. – EASY TO USE – Convenient for mouth, and it is easy to clean. -Non-stick, no smell, easy to clean and store.